Once upon a time, in a freshman dorm called Crossroads, at a university called Purchase College, four 18 year old kids met - mostly because they all lived on the same hall. Over the years, this foursome went through breakups, hangovers, finals, parties, dining hall food, and countless other adventures. Then they all graduated, and they mostly moved away and apart. Scott, one of these four kids, ended up traveling the world. I moved to Texas, and we all know how that turned out. Ella and Rachel stayed in New York and even lived together for a few years, and then Rachel left for Chicago. This past weekend, we were reunited in Massachusetts, for Scott's wedding. He married a kind, intelligent and beautiful woman named Melanie, and I could not be happier for the two of them. Friendship is weird. In the case of Scott and Ella and Rachel, I saw them nearly every day for four solid years (except for the semester when Scott and I studied abroad in Ireland, which is a whole other list of adventures and hangovers). Since we graduated in 2004, I see them maybe twice a year. We've all changed so much since we walked across the stage and accepted our diplomas. Seen so many things, fallen in and out of love with so many people, had so many triumphs and failures and blossomed into the people we were just starting to discover all the years ago, on the second floor of Crossroads. I'm proud of each of us, and honored to know we are still - and will always be - a part of each others' lives. Enough of the mushy stuff. 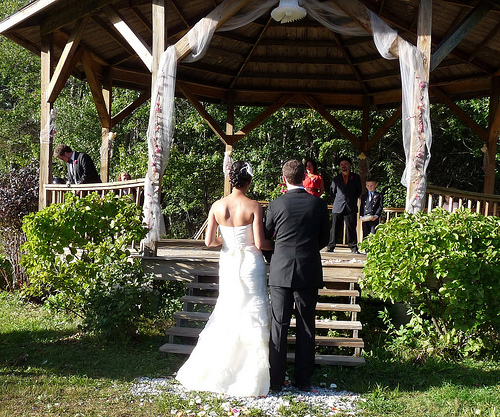 Here's what you really need to know: this wedding was the best one I've ever been to. 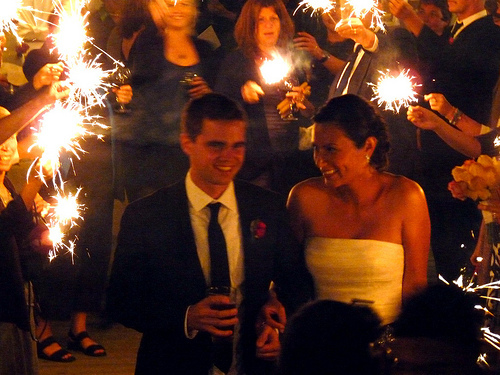 We arrived at the manor on Friday evening, just in time for the rehearsal dinner, an open bar, and a blazing bonfire. In the morning we woke up groggy and found breakfast downstairs. We went for a run on the Appalachian trail in the blessedly cool mountain air (six miles, which felt more like 15 and left me sore for days - oh, the elevations!). At lunch, more food appeared, which was delicious. Then there was the wedding, during which I cried steadily, then a cocktail hour, followed by dinner, followed by yet more drinking and a long night of dancing. In the morning? Yes. Brunch before we headed back to Texas and Scott and Melanie left for a ten day honeymoon in France and Spain. 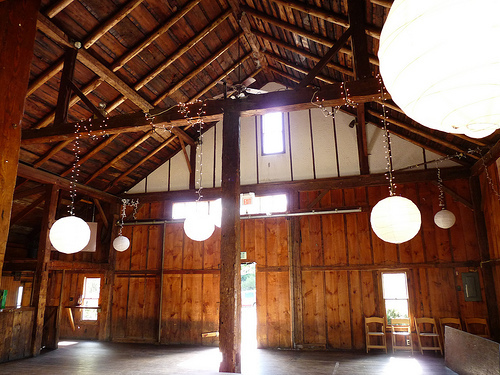 The barn where we danced the night away. 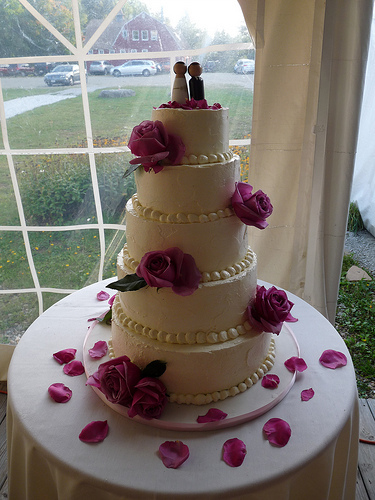 Ella made this cake beforehand and assembled it on site. 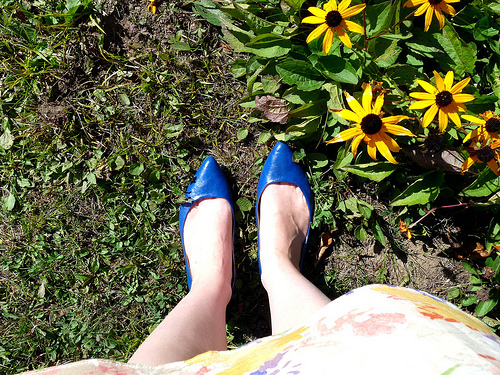 These are my party shoes. 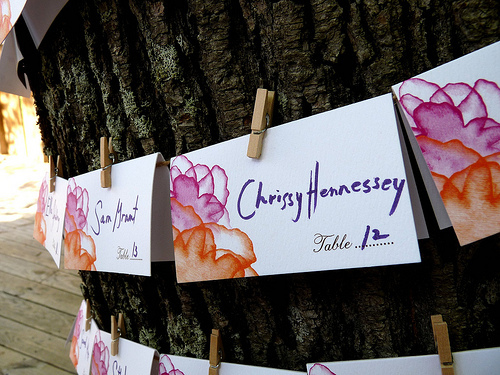 I love this idea for place cards! A friend's small child drew this and then a grown up tacked it to the wall. This, my friends, is how weddings are done. You can bet I was taking notes for one day in the - dare I say it? - not-so-distant future. Have you ever been to a unique and super fun wedding? Most of the weddings I've been to were family affairs, Catholic weddings which always feature a full mass. 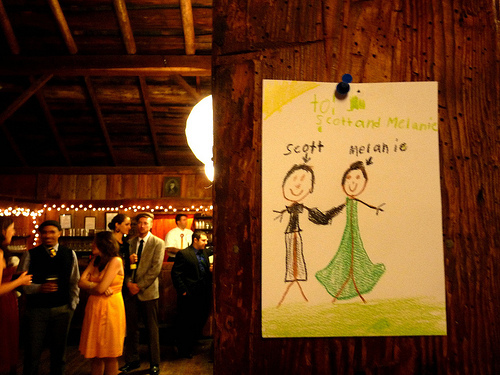 This type of wedding - personalized, with friends officiating, other friends telling the stories of how the couple met, and parents reading poems and original short stories - was so fun and personalized that it made me want to start planning a wedding immediately.